Home > Employment Law > Can My Employer Deny My Request For FMLA Benefits? The Family and Medical Leave Act (FMLA) is a United States labor law established in 1993. It requires employers to provide employees with job-protected and unpaid leave for qualified medical and family reasons. These include pregnancy, adoption, foster care, placement of a child, personal or family illness, or family military leave. This act is administered by the Wage and Hour Division of the United States Department of Labor. This law was created to balance the demands of the workplace as well as the needs of families. It was originally introduced to Congress in 1984 but didn’t receive approval until 1993. The FMLA was mostly created to protect women in the workforce when they become pregnant and have to take time off to care for their children. However, it wasn’t intended to focus only on that specific issue as it also includes protection for unpaid leave for serious medical conditions and the right to take time off to care for immediate family members. Eligible employees can take up to 12 workweeks of unpaid leave during any 12-month period to attend to the serious health conditions outlined previously. These conditions can affect the individual, parent, spouse, or child of the employee. Upon their return to work it is expected that they will return to the same position with the same pay and benefits, but if that is not possible they will receive a new position of equal value in terms of pay and benefits. Are You Eligible For Protection Under The Act? To be eligible under this act the employee must have worked at the business for at least 12 months and have worked at least 1,250 hours over the past 12 months. The company the employee works for must employ at least 50 employees within a 75-mile radius. The Family and Medical Leave Act covers both public and private-sector employees, but it does exclude certain categories like elected officials and their personal staff. The reason for the employee’s unpaid leave must affect them personally, their spouse, their children, or their parents. There are some exceptions, such as the right to care for a service member with a serious illness or injury. The federal FMLA guidelines do not apply to workers in businesses with fewer than 50 employees, part-time workers who have worked fewer than 1,250 hours within the 12 months preceding the unpaid leave, time off to care for seriously ill elderly relatives (other than parents) unless they were acting in loco parentis at the time the worker turned 18, time off to care for pets, time off to recover from a short-term or common illness like a cold, or to care for a family member of a short-term or common illness, and workers who need time off for routine medical care. The purposes of leave under the FMLA Act are to care for a new child (whether for birth, adoption, or placement of a child in foster care), to care for a seriously ill family member (spouse, son, daughter, or parent), to recover from a worker’s own serious illness, to care for an injured service member in the family, to address qualifying exigencies arising out of a family member’s deployment, and 26 workweeks of leave during a single 12-month period to care for a covered service member with a serious illness or injury if the eligible worker is the service member’s spouse, son, daughter, parent, or next of kin. Child care leave should be taken in one lump unless an employer agrees otherwise. If a mother and father have the same employer, they must share the leave, which means that if the employer chooses their rights are halved. Some important things to note are, your request for leave does not need to be in writing, nor does it have to state that you are seeking FMLA leave. You do not have to provide exact dates or duration of your leave request. If the leave is foreseeable you must notify your employer 30 days in advance, but if it in unforeseeable, leave may begin as soon as practicable. Your employer should provide you with written notice detailing expectations, obligations, and consequences for not meeting obligations. An FMLA interference is when an employer interferes with an employee’s right to take leave. If this has happened to you, under FMLA guidelines you have to types of causes of actions against your employer. The first is for retaliation or discrimination. Employers are prohibited from discharging or discriminating employees who oppose any practice that has been made unlawful by the FMLA guidelines. Secondly, it is unlawful for your employer to interfere with, restrain, or deny the exercise or attempt to exercise rights protected under the FMLA guidelines. 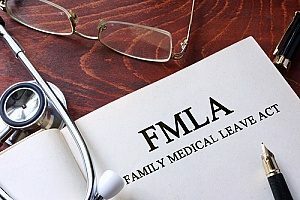 An FMLA interference is not just about discrimination, so an employer may not just validate its actions by establishing a legitimate reason for its decisions. For more information speak to an employment law attorney.